When Cerezo Osaka defensive leader Tatsuya Yamashita looks back on the first half of a turbulent J-League season, he doesn't like what he sees. "As a defender, we've given up goals nearly every single game, and in terms of my personal positioning I haven't been getting results, so it's tough to accept," says the center-back, who earned his starting line-up position in 2013. Yet the 26-year-old, who is yet to make his international debut, was still called up to an April national team training camp just one month before Alberto Zaccheroni selected his side for Brazil. It was a game-changing moment. "Until then I never thought I'd become an international player," Yamashita reflects, "but going to [the camp] I thought that, if I can play well, I can come here again. And for the first time I thought - I want another shot at this." 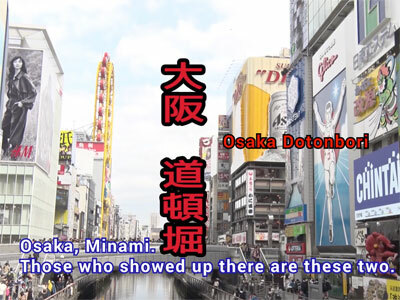 Yamashita turned professional in 2006 after graduating from Kobe Mikage Kogyo High School, joining Cerezo Osaka at the same time as Samurai Blue stars Shinji Kagawa and Hiroshi Kiyotake. But despite many playing opportunities, the defender seemed resigned to spend much of his time as a reserve. A crucial turning point came in 2011 when, after joining Consadole Sapporo, he helped guide the northern club to promotion to the top flight, gaining confidence in the process: "I really got a lot from my year in Sapporo. I wouldn't be who I am now if I hadn't gone," Yamashita says. A year later he returned to Cerezo, just as former team-mate Yoichiro Kakitani was also returning from his loan spell at Tokushima Vortis. "It took a lot of time [to get settled at Cerezo]," Yamashita says, "but compared to my first and second years at the club, things were much smoother." In his first AFC Champions League season, Yamashita struggled against attackers such as Shandong Luneng's Vagner Love and Guangzhou Evergrande's Muriqui, who he describes as world-class. "Even when they'd beat me out, I'd work even harder to beat them on the next play. It made me want to challenge all sorts of different players." Yamashita's confidence in one-on-one situations came about in 2013: "My role is to stop [the other team's] ace players. That's all I focus on, and that's what I have to do more of." With two ACL goals and a third in the J-League this season, Yamashita's role is expanding. "If I don't lose in one-on-one situations, and I happen to find the chance to score goals, I can stand out more. Whether we're attacking or defending I want to focus on finding our opponent's weak spots and helping Cerezo win. "We want to show off our style of football, and give our supporters the kind of play that they've wanted to see from us," says Cerezo's No. 23 as he looks on toward the second half of the season. "All we can do right now is believe in each other and do what we have to do." 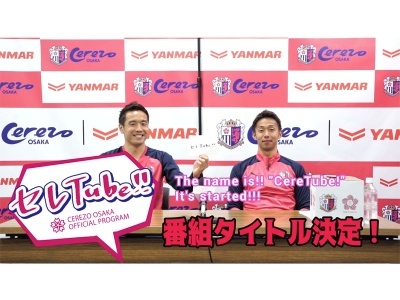 Source: "Cerezo Osaka Special Interview: Tatsuya Yamashita"